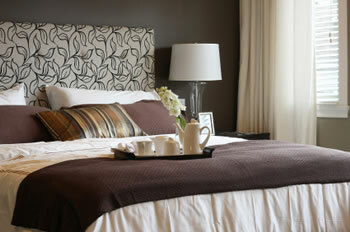 Hotel furniture (reception & communal + bedroom sets. A full measuring service from one room right up to a full hotel. Guaranteed lowest prices – we will beat any written quote you may have had. Staged supply and fitting to minimise disruption. We deal with a wide range of suppliers and can actively source thousands of products and fabrics to suit your needs. We offer a complete supply and fix service using the highest quality of materials. We never go for second best. We painstakingly make-up your curtains and furnishings; our philosophy is that it’s pointless working with lower class materials as they inevitably disappoint.